Developed by an accomplished eye surgeon with more than four decades of experience. 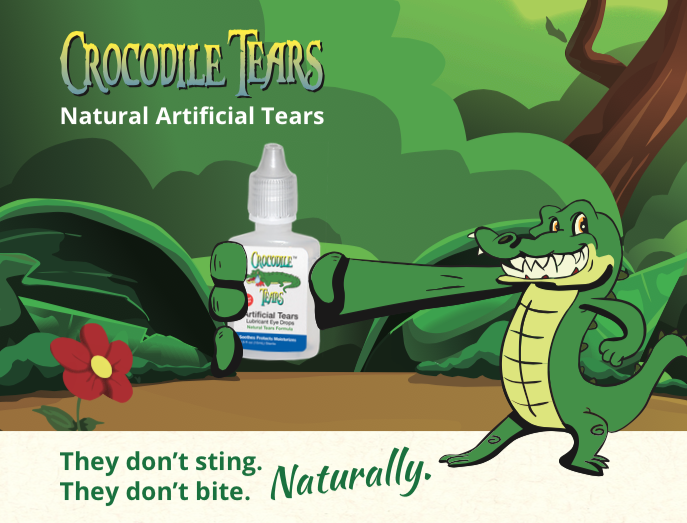 Crocodile Tears Artificial Tears was created in the operating room and loved by all sorts of patients. They provide real, soothing relief from dryness, irritation and discomfort. Crocodile Tears, LLC. is pleased to provide a free sample pack of of our eye drops to any qualified organization. We believe that once you have sampled our eye drop’s quality, delivery, price, and customer service, you will become a Crocodile Tears customer for life.